Have you already heard of Tamanu oil and its healing properties? If you haven’t, that is because this therapeutic substance has only recently gained popularity in the Western world. Inhabitants of the South Pacific regions have, however, been making use of its benefits for centuries. So, what is Tamanu oil and how can you use it? Tamanu oil is harmless and easy to use on human skin due to its nearly perfectly balanced composition. This oil comes from the Tamanu tree which grows in the South Pacific. More specifically, the substance is derived from the fruits of the free, which resemble apples. The fruits contain seeds, from from which the thick, smelly Tamanu oil is extracted. The oil, itself, is useful for treating all kinds of skin-related problems. In addition to its healing properties, the Tamanu oil is harmless and easy to use on human skin due to its nearly perfectly balanced composition. More than that, this substance is irreplaceable in terms of clearing up acne. Its anti-inflammatory properties target infections and reduce them to a minimum. Additionally, Tamanu oil is an excellent moisturizer, which further aids in doing away with blemishes on your complexion. The oiliness of the substance manages to hydrate the skin, leaving it smooth and shiny after use. This product essentially decreases sebum production and thus prevents the appearance of whiteheads. Nevertheless, something to note is that all of this largely depends on the particular characteristics of your skin. 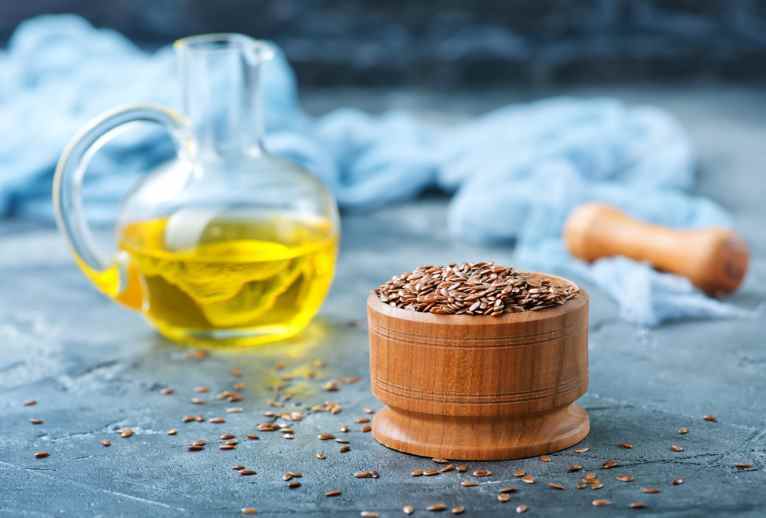 For instance, in the case that your skin is already excessively oily, you might want to stay away from this moisturizing plant – it may only increase the greasiness. On the other hand, depending on your skin type, Tamanu oil is also known for having drying properties on skin. For best rules, and in order to avoid unnecessary complications, try out the oil on a small patch of skin, so as to check how the plant reacts with your individual skin’s texture. Most significantly, Tamanu oil is a great choice for you in the case that you are battling past acne scars. It is known for its specific boosting properties which help your skin rejuvenate itself. This means that this oil will aid your complexion in refreshing itself by helping to form new, and healthy tissue. While Tamanu oil is unlikely to magically do away with decade-old scars, it may help in the reduction of traces of your past troubles. If you happen to have scabs, which have not yet created actual scars, then this product is perfect for you, as well. The most prominent property of this oil is its healing properties, which help skin rebuild itself as quickly as possible. Particularly, if you start to use the substance at a stage at which your scabs have not yet turned into scars, but are still struggling to heal, then Tamanu oil may prevent long-lasting evidence from forming at all. Naturally, these are all things that this substance can potentially help with, but the concrete results completely depend on the concrete person, the level of blemishing, the exact skin type, etc. Are you ready to try Tamanu oil for your skin problems? It is time to learn how to use it. For treating actual acne, it is useful to use this oil in combination with tea tree oil, which is another potent remedy for faulty skin. Specifically, a combination of these two products can be especially helpful during a heavy breakout. This is because the joint power of these two components creates a powerful ointment against bacteria and clogged pores. All you have to do is combine some of the Tamanu oil with only a couple of drops of tea tree oil, and mix them well. The mixture should be applied lightly onto the skin and left to soak in for about 20 minutes. If you want to speed up the effect, you might want to place a wet, warm piece of clean cloth on the area, which ensures that all of the beneficial substances are locked into place. The effect of this mixture is the opening of any clogged pores, and the general cleansing from harmful bacteria. In the end, you should be left with a thoroughly cleansed and moisturized complexion. Indeed, Tamanu oil is an outstanding moisturizing product. As usual, only a small amount of the substance is needed in order to notice any effect. Particularly, as Tamanu oil is a thick substance, in itself, using too much of it may actually end up stuffing additional oil and grime into your pores. Use it sparingly the first time, so as to figure out how much of it your skin actually needs. Moreover, as mentioned, this product is a remarkable solution for developing scars, as well as for aging acne marks. Applying a tiny bit of oil onto the affected area on a daily basis may result in long-awaited miracles for your skin. Your scars may vanish, or they may at least decrease in size and visibility, which, after all, is what you are looking for. It becomes clear that while oil from the Tamanu tree may lead to outstanding results for some, others may only end up suffering more due to its very particular nature. If you already know your skin type, you may want to consult with a dermatologist or a health-expert regarding the effects that it may have on you. Alternatively, if you are not sure of what kind of skin you have, and aren’t certain about the oil’s effects, you may want to put off its usage until you find out more about it. The best way to go about trying it out is to get some Tamanu oil and test it on a small area of your skin – one that is not severely affected by acne. Hopefully, this is the remedy for you, and if not – keep seeking, as there are all kinds of products out there that are able to help you and your specific kind of skin issue. Are Barberries The Next Super Secret To Fighting Acne?